Kent State University Press, 9781606352601, 376pp. 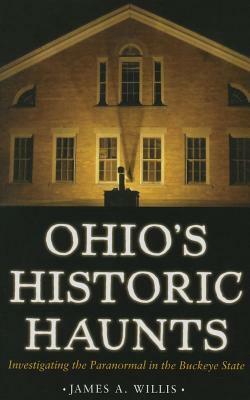 Many of Ohio's historically significant locations have developed a reputation for being haunted. While it might be almost impossible to prove the validity of the paranormal tales that surround them, one thing is clear: ghost stories help to keep history alive. But the questions remain: How did these stories get started? More important, are any of them tied directly to actual historic events? And do any facts support the ghost lore? Rather than rely on second- and third-person accounts, author and paranormal researcher James A. Willis sat down with the owners, employees, and patrons of Ohio locations that are said to be haunted - the Arts Castle in Delaware, the Fairport Harbor Marine Museum, the Haunted Hydro in Fremont, Loveland Castle, the Merry-Go-Round Museum in Sandusky, the Ohio State Reformatory in Mansfield, the Zanesville Community Theatre, and many others. After conducting more than 200 hours of one-on-one interviews, Willis was able to piece together unique histories for each location, including eyewitness accounts from people who believed they experienced paranormal activity. James A. Willis has been chasing after all things strange and spooky for over 30 years, most recently with his organization, The Ghosts of Ohio. When he wasn't trying to coax the boogeyman out from under his bed for a photo shoot, Willis found the time to author over a dozen books, including The Big Book Of Ohio Ghost Stories, Haunted Indiana, and Weird Ohio. Willis currently resides in Galena, Ohio, with his wife and daughter, two narcoleptic cats, and one Queen-loving parrot.